They look like they're going to kill someone! Thanks for the scan! It's just that they're so serious-looking! 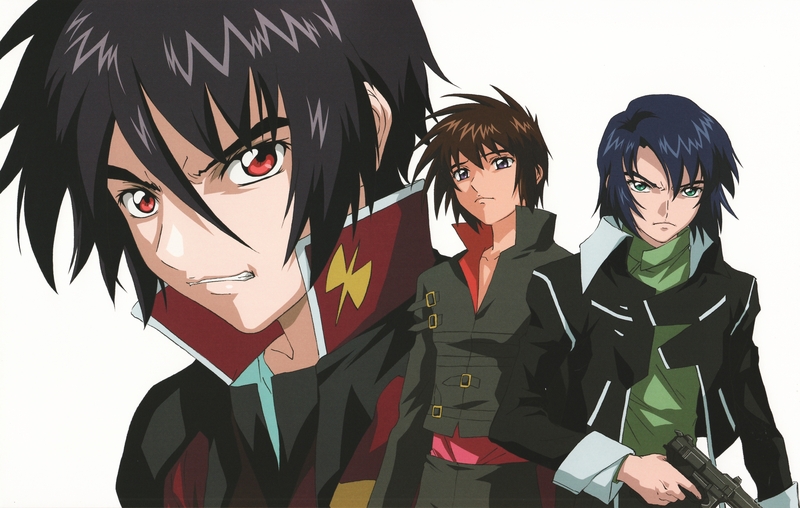 No matter what, Athrun always looks cooler. i love it. thanks for sharing. shin look like so angry,but it is good pic. there's nothing like having true evil stare at your back and act as if your completely okay with it or you just don't care!